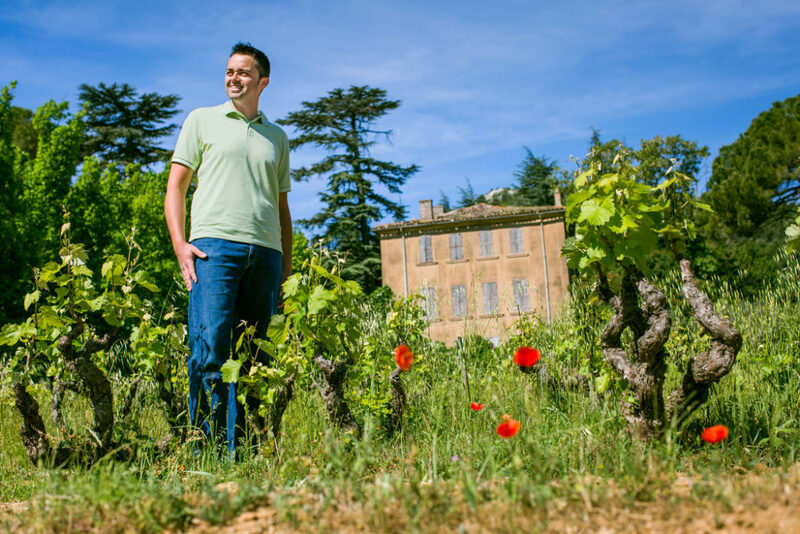 Château Sainte Anne is a 15 ha estate located in Bandol, one of the top Appellations of Provence. 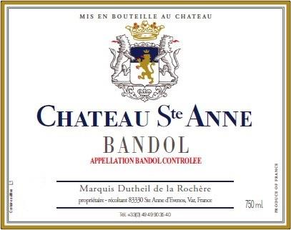 The Domaine is now managed by Françoise Dutheil and her son Jean-Baptiste. 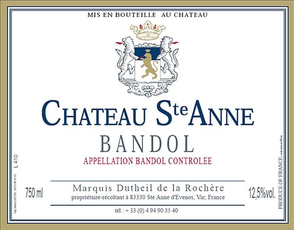 In addition to pioneering the Bandol appellation 5 generations ago, Château St. Anne has also been on the forefront of natural winemaking. 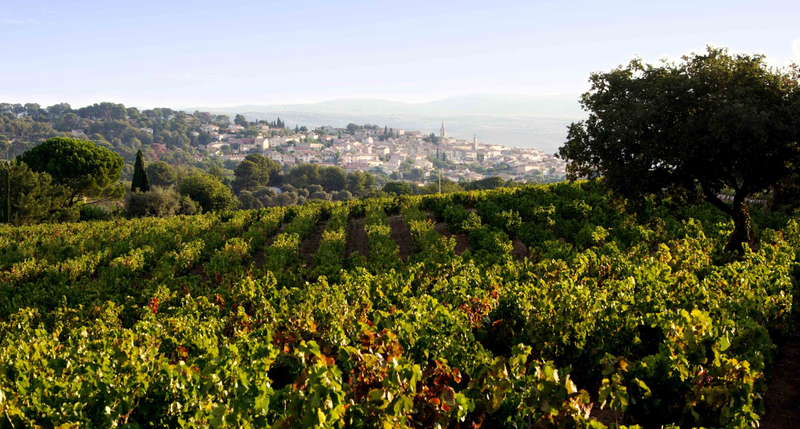 They have worked closely with Thierry Puzelat, Pierre Overnoy, and Gramenon since the 1970s and were one of the founding members of the Association des Vins Naturels (AVN).Château Sainte Anne’s Bandol terroir is unique among the Provence wines. The proximity to the sea and strong winds between the steep hills have created a micro climate which makes it possible to plant and grow on terraces in spite of the punishing summer heat. This is why Mourvedre, a variety which struggles to ripen elsewhere, is at home here in Bandol. 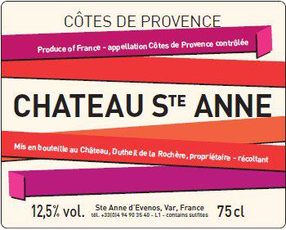 Château Sainte Anne produces reds, white and rose (20% of the production). All the wines are fermented naturally in stainless steel vat and the reds are aged in oak for a very long time. 2g/hl of sulfur added at bottling.